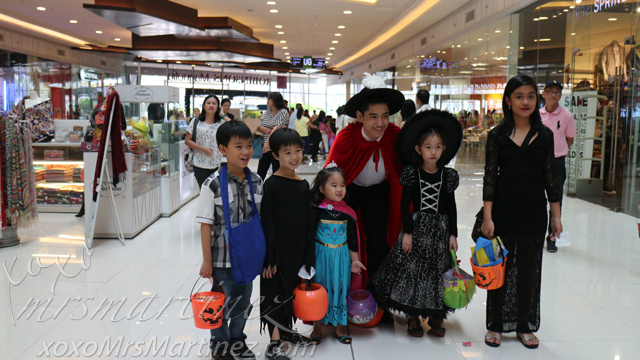 We were in Robinsons Magnolia earlier today for the annual Trick-or-treating. This year's Halloween theme is Peanuts Scary Snooprize. 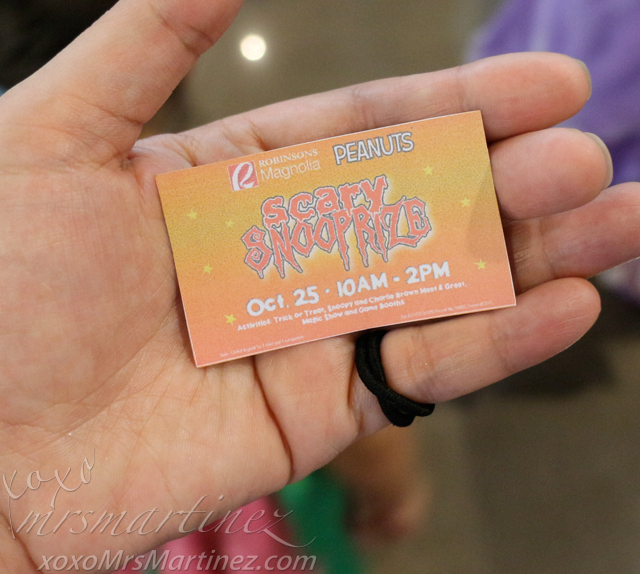 A single receipt purchase of Php 1,000 entitles a child to join this year's Scary Snooprize. You may redeem your ticket at the Information Counter located at the Upper Ground Level. Only one ticket will be issued per receipt. Purchases must be made from October 17 to 25, 2015. The line was already very long when we arrived at the venue around 10AM, it did not help that there's only one or two staff facilitating the registration booth. There were over 40 participating establishments so we made a plan- start on Level 3 and made our way down. Not a good plan! In less than an hour, some of the shops ran out of candies to give. Other stores gave only a piece of candy just to stretch out its supply... tsk! tsk! While OshKosh B'gosh staff told the kids to be back at 12NN (the time it will start handing out candies... bummer! 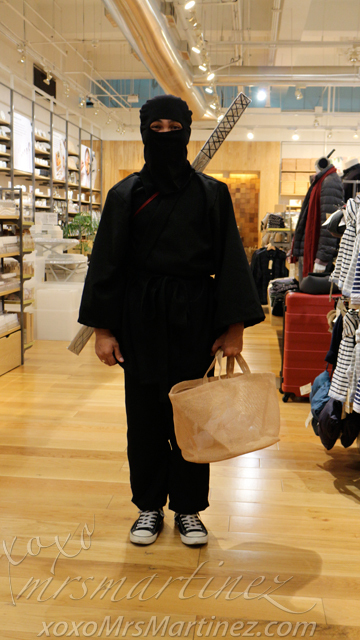 ), others like MUJI (who is not in the official list) came out much prepared with one of the staff wearing a ninja costume... nice and shala! And oh, the friendly staff at Krispy Kreme (also not in the official list) are giving away free balloons! One of the babies who was still in her mother's arms wore one of the cutest costume- a popcorn (not in the photo) ; ) These kids were just some of the participants in this year's Halloween Scary Snooprize. Aren't they all too cute?! I hope we will get luckier (read: more candies) and a more organized event in next week's Trick-or-Treat: It's Hero Time! 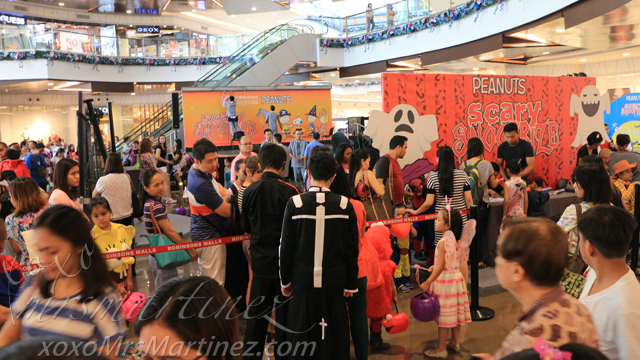 Cartoon Network Intergalactic Halloween in SM Megamall.